The Mondragon Corporation is a federation of worker co-operatives based in the Basque Country in northern Spain. Founded in the town of Mondragon in 1956 and inspired by a Catholic priest José Ma Arizmendiarrieta, its origins were modest, beginning with a small workshop producing paraffin heaters and later a technical college. However, over the next five decades the group expanded to become a major economic player. Today it is the leading business group in the Basque Country. It one of the ten largest Spanish companies in terms of turnover, comprises 120 co-operatives, employs more than 83,000 members, has a turnover of €14 billion, has a bank and numerous research institutes, and has founded a university with some 3,600 students. In February 1981 a Wales TUC delegation visited Mondragon and came away inspired to found the Wales Co-operative Centre. This is now 30 years old and over the past three decades has had a substantial impact on the Welsh economy. 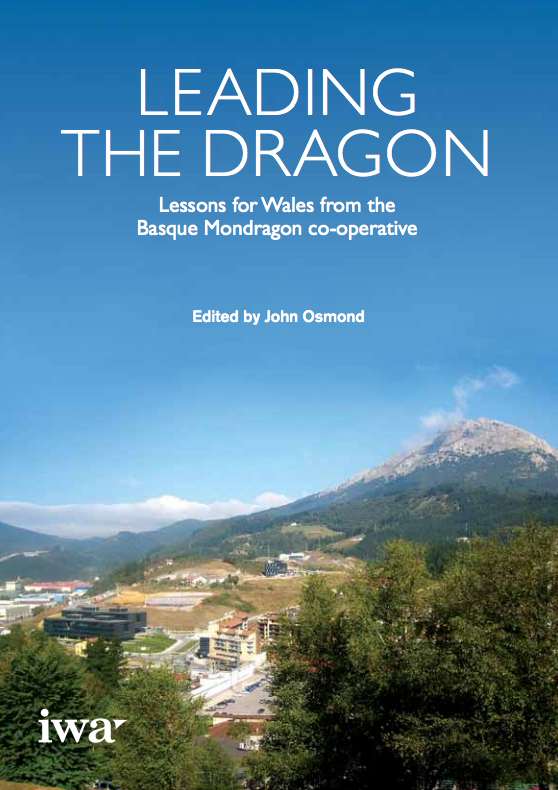 In April 2012, another Welsh group, this time including today’s Director of the Wales Co-operative Centre, returned to Mondragon to witness the progress it has made and to see what new directions might be possible. Informed by the visit, but focusing on the realities of Welsh experience, this publication suggests some developments that could further embed co-operative ideas in Welsh policy-making. These include a potentially transformative proposal for introducing a co-operative approach to the delivery of public services, especially those that currently involve sub-contracting care for the elderly to private sector providers.